I am so excited to tell you that Eden Medical Clinic won this prestigious award. The atmosphere was electric at the Gala Awards night in the Clayton Hotel, Silversprings as we all waited with anticipation to hear the winners of the many awards. Competition in our business is fierce; you have to work hard and be committed to your clients to come out on top. The dedicated and professional team here at Eden Medical do just that. The Cork Business Awards celebrate the finest businesses in Cork for their commitment to best practice, excellence and high standards, we are proud to be one of them. 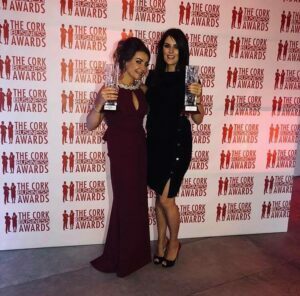 “The Cork Aesthetic Clinic of the Year 2018 award is all about devotion to your specialty and to the clients that become long term friends. 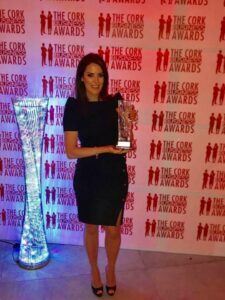 Our winner has built a five star business model that is all about trust, honesty and care.” The Judging Team, Cork Business Awards, 2018. Thank you to the dedicated Eden team and most importantly, thank you to our loyal clients, you really do become our friends.